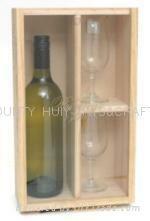 Wine box combined wine bottle with wine glasses. Size can be changed as per your actual demand. specifications︰ As per your demand.